To organize a conference or meeting means a lot of work. We are happy to help you with our expertise and experience organizing the right framework program to make your event a grand success. We provide a comprehensive sightseeing programm according to your requests. Walking tours, also neigbourhood tours – main focus according to your ideas. While their husbands are in business, the accompanying ladies would like to enjoy an entertaining time in exciting Berlin. We help you to arrange an interesting program for them. individual city-tour (sedan, minivan, bus) in Berlin or to Potsdam – different focuses, according to your requests. 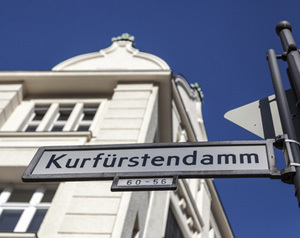 Shopping tours to Berlins best shopping areas and malls. Additionally we are happy to organize for you a guided tour through Europes second biggest department store, the trendy KaDeWe. We are open to your ideas and requests. Please contact us for a personal discussion about your needs.